Just across the street from San Francisco‘s iconic Dolores Park is a striking dome-topped building with bold white columns lined up along its entrance. The imposing Neoclassical structure doesn’t look much like an apartment building, and for good reason: the building served as the Second Church of Christ, Scientist for the past one hundred years. A century later, the structure has been remodeled and creatively repurposed into a series of unusual and stunning private residences by developer Siamak Akhavan in partnership with HC Engineering and Modifyer. 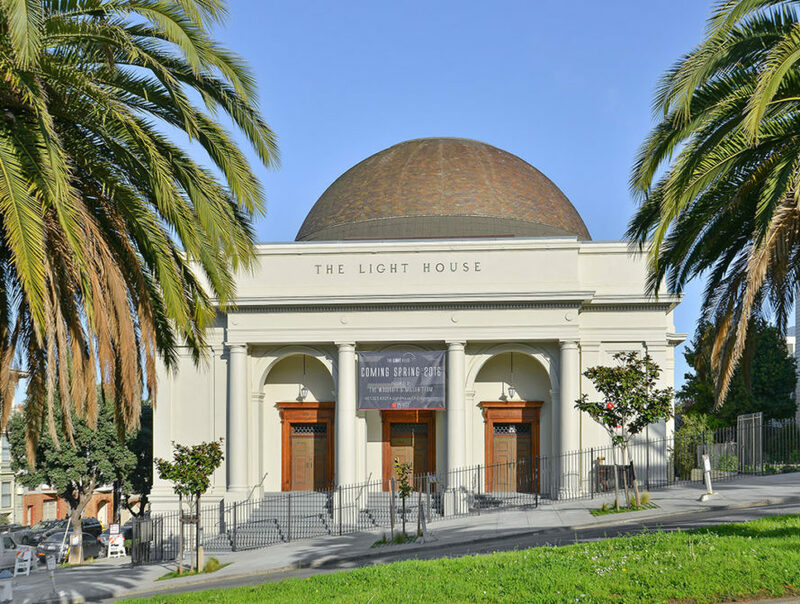 The original church was designed by architect William Crim in 1915, who was also responsible for several other civic buildings that are still used in San Francisco today – including churches, temples, banks, and restaurants. The design for the Second Church of Christ, Scientist is Neoclassical, with traditional elements including large columns flanking the portico and a distinctive dome topping the building. Many major public buildings from this time period were constructed in the then-popular Neoclassical and Beaux Arts styles, featuring inspiration from the Greek and Roman period with additional aesthetic flourishes such as decorated columns, carved molding, and arched windows. By the early 2000s, the church’s congregation had been dwindling for years, making the cost and management of such a monumental property unsustainable. Several years prior to the residential conversation, the church had considered razing the historic building to build a few townhouses, which would have also financed the construction of a much smaller church. However, these plans never came to pass, and the property was sold by the church and subsequently permitted for conversion into a residence by 2013. The church looks much the same from the outside, retaining its historical significance to the neighborhood. However, the “Second Church of Christ, Scientist” lettering was removed and replaced with the building’s new name: “The Lighthouse“. The remodel includes several high-end three-bedroom townhouse units up for sale. 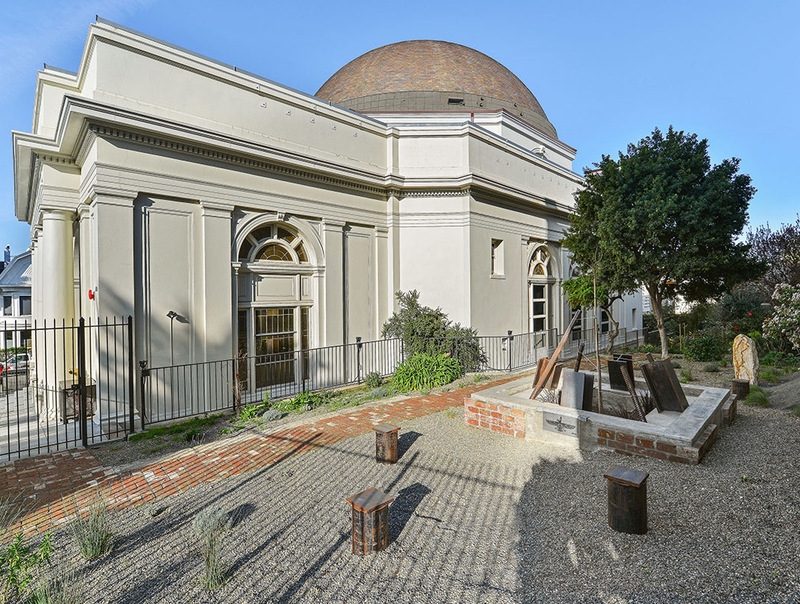 Not for sale is the unusual penthouse suite, which hovers directly underneath the former church’s giant dome. In order to create living space and light, the dome was actually sliced off and then elevated several feet higher. The uppermost unit is set to be occupied by Siamak Akhavan, managing partner of The Lighthouse development team, and one of its principal designers. 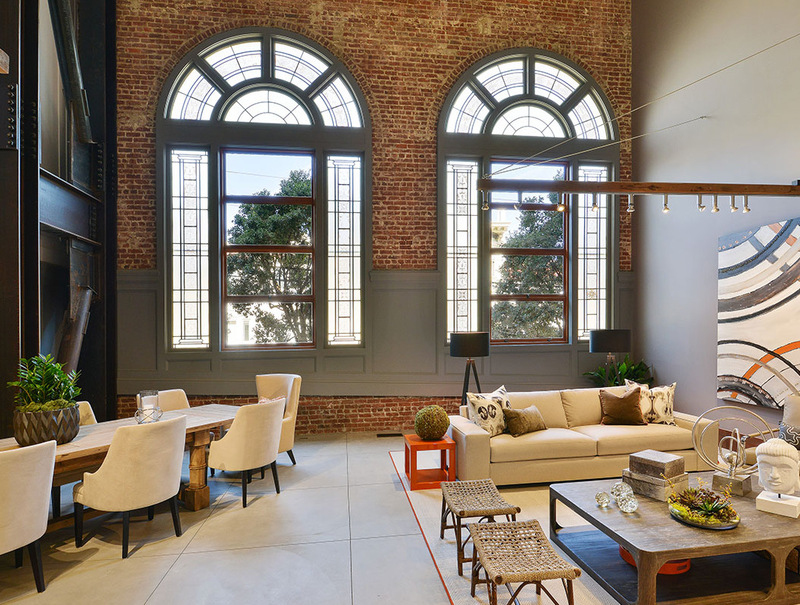 The units feature large, open floor plans with unique elements such as exposed brick walls and skylights that highlight original construction elements. The remodel made sensitive re-use of existing elements and incorporated materials from the original church building, including walnut paneling, entry doors, and brass chandeliers – plus original wooden church pews as seating. 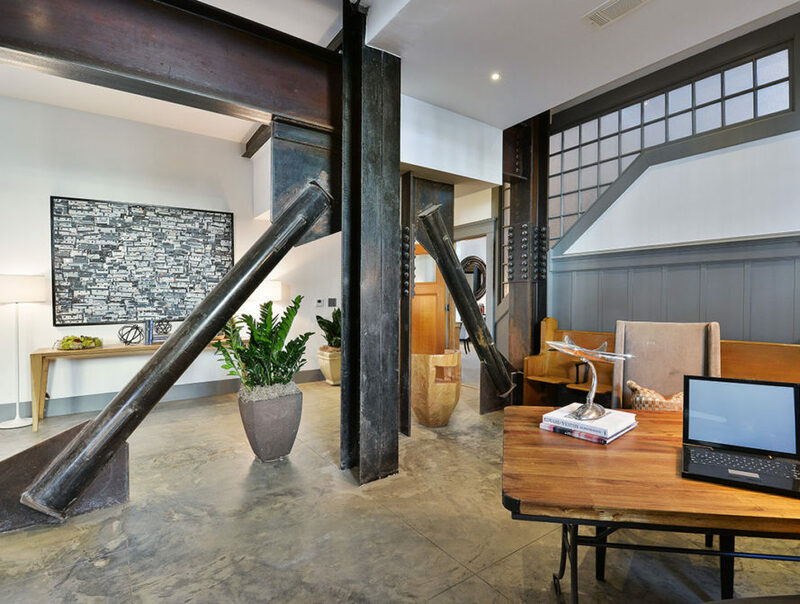 The remodel creatively works around the original steel frame structure by showcasing it in various rooms throughout the units. Because of its former life as a place of worship, the building features unusually high ceilings – up to 15-30 feet high in the living areas. + HC Structural Engineering, Inc.
Just across the street from San Francisco's iconic Dolores Park is a striking dome-topped building with bold white columns lined up along its entrance. The imposing Neoclassical structure doesn't look much like an apartment building, and for good reason. Originally designed as church, the building served as the Second Church of Christ, Scientist for the past one hundred years. A century later, the structure has been remodeled and creatively repurposed into a series of unusual and stunning private residences by developer Siamak Akhavan in partnership with HC Engineering and Modifyer. The original church was designed by architect William Crim in 1915, who was also responsible for several other civic buildings that are still used in San Francisco today, including churches, temples, banks, and restaurants. 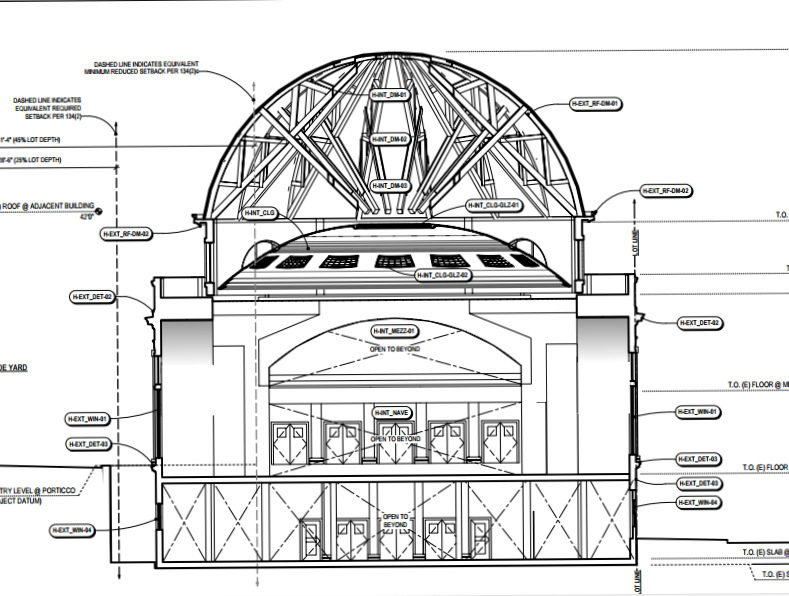 The design for the Second Church of Christ, Scientist is Neoclassical, with traditional elements including large columns flanking the portico and a distinctive dome topping the building. Many major public buildings from this time period were constructed in the then-popular Neoclassical and Beaux Arts styles, featuring inspiration from the Greek and Roman period with additional aesthetic flourishes such as decorated columns, carved molding, and arched windows. By the early 2000s, the church's congregation had been dwindling for years, making the cost and management of such a monumental property unsustainable. Several years prior to the residential conversation, the church had considered razing the historic building to the build a few townhouses, which would have also financed the construction of a much smaller church building. However, these plans never came to pass, and the property was sold by the church and subsequently permitted for conversion into a residence by 2013. By the early 2000s, the church's congregation had been dwindling for years, making the cost and management of such a monumental property unsustainable. Several years prior to the residential conversation, the church had considered razing the historic building to the build a few townhouses, which would have also financed the construction of a much smaller church building. However, these plans never came to pass, and the property was sold by the church and subsequently permitted for conversion into a residence by 2013. The church looks much the same from the outside, preserving its historical significance to the neighborhood. However, the "Second Church of Christ, Scientist" lettering was removed and replaced with the building's new name: "The Lighthouse". The remodel includes several high-end three-bedroom townhouse units up for sale. 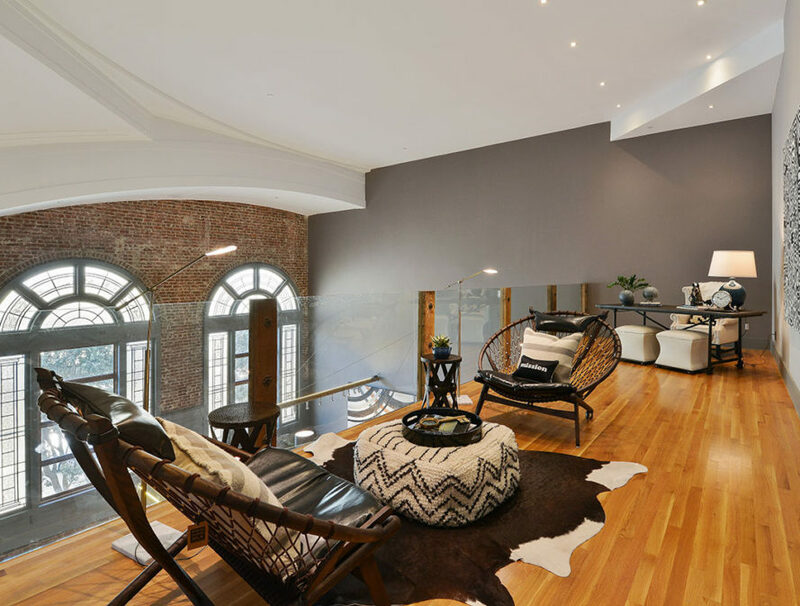 Not for sale is the unusual penthouse suite, which hovers directly underneath the former church's giant dome. In order to create living space and light, the dome was actually sliced off and then elevated several feet higher. The uppermost unit is set to be occupied by Siamak Akhavan, managing partner of The Lighthouse development team, and one of its principal designers. 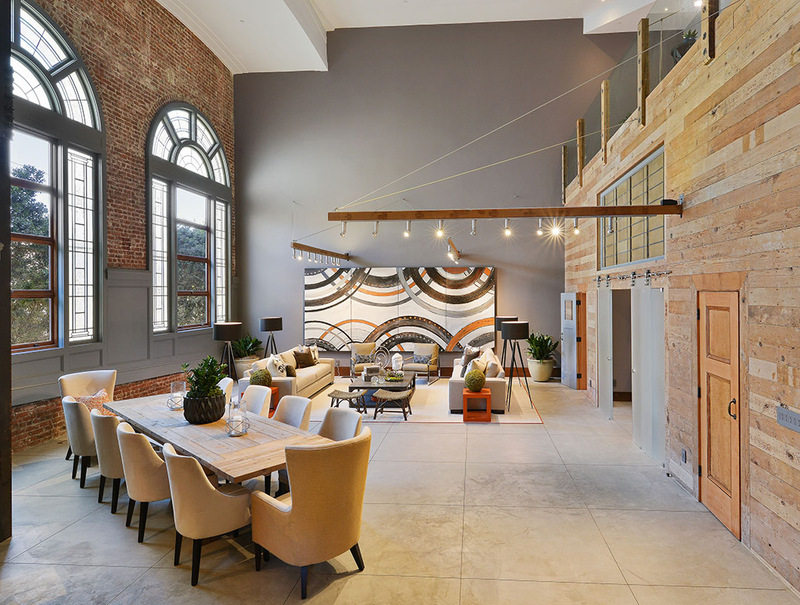 The units feature large, open floor plans with unique elements such as exposed brick walls and see-through skylights to see original construction elements. The remodel made sensitive re-use of existing elements and incorporated materials from the original church building, including walnut paneling, entry doors, and brass chandeliers - plus original wooden church pews as seating. The current design creatively works around the original steel frame structure by showcasing it in various rooms throughout the units. Because of its former life as a place of worship, the building features unusually high ceilings, up to 15 feet high and 30 feet high in the living areas. 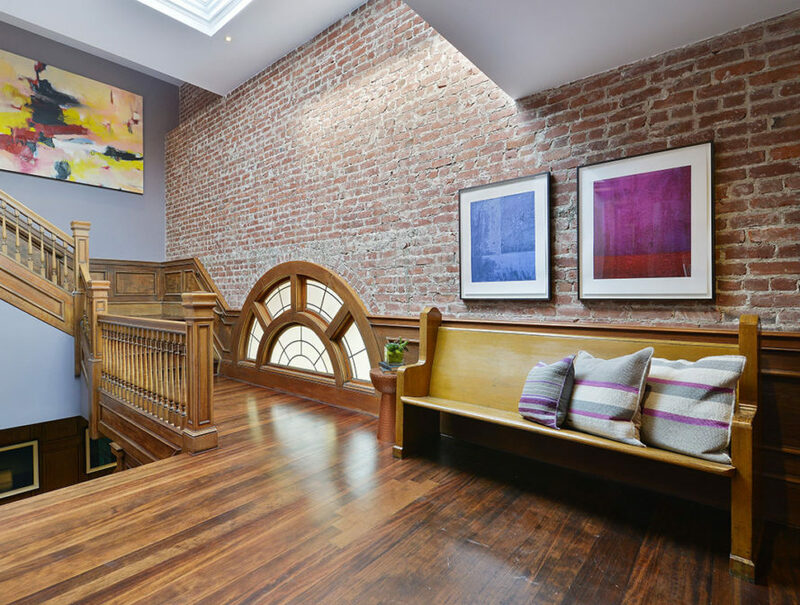 A mezzanine level hovers above the living room with its 30 foot high ceilings. Just across the street from San Francisco's iconic Dolores Park is a striking dome-topped building with bold white columns lined up along its entrance. The imposing Neoclassical structure doesn't look much like an apartment building, and for good reason: the building served as the Second Church of Christ, Scientist for the past one hundred years. A century later, the structure has been remodeled and creatively repurposed into a series of unusual and stunning private residences by developer Siamak Akhavan in partnership with HC Engineering and Modifyer.